Every week up to when Avengers: Infinity War comes out we are rewinding it back to review every Marvel movie! 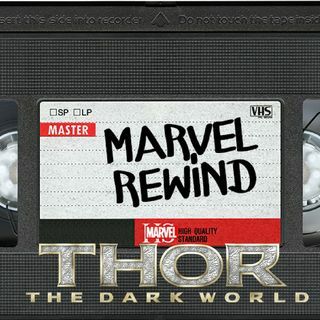 This week we are talking about what many regard as their "least favorite" Marvel movie Thor: The Dark World! Javi and Kevin discuss where the movie went wrong as well as how it led Thor: Ragnarok to be the success that it was! We also briefly discuss the release date for Avengers: Infinity War being pushed up! Plus, we add Thor: The Dark World to our ranking of Marvel ... See More movies we have reviewed to give us the ultimate Marvel movie ranking!